As hospitals and other medical environments can often generate a lot of clinical and potentially harmful waste, it is important to ensure that correct storage and disposal systems are in place. 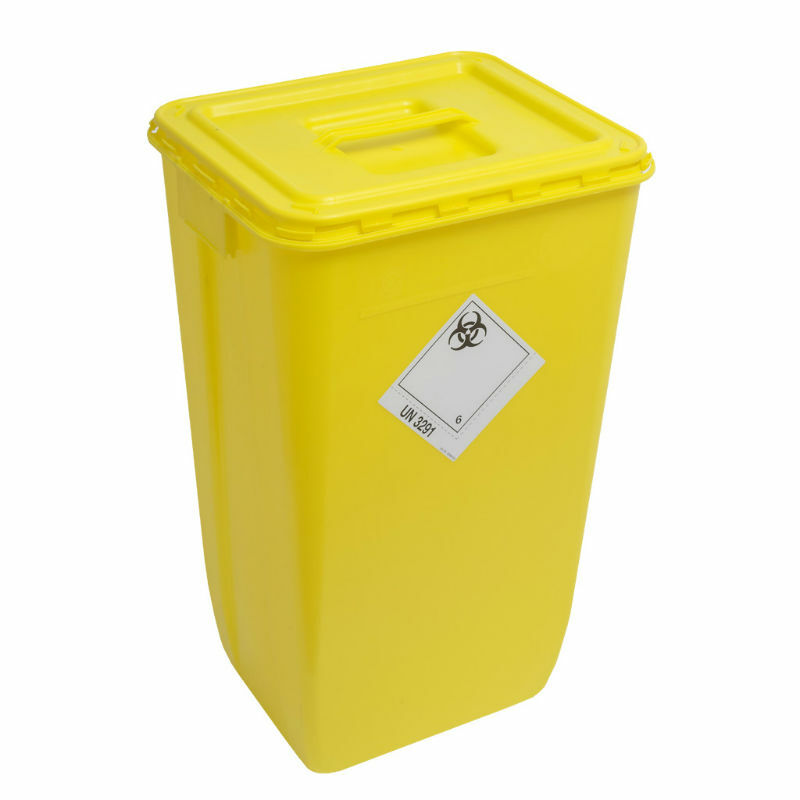 The WIVA Yellow 60-Litre Clinical Waste Container conforms to British Standards BS 7320:1990, and offers a choice of two lids to provide the ideal solution for storing medical waste. 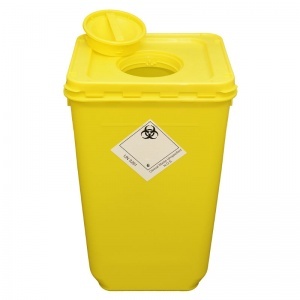 The 60-Litre Clinical Waste Container is made from polypropylene. This means that it is durable for longer-lasting use, and will also be able to contain liquids or sharp products more safely. As the surface can be easily wiped down in between use, the Waste Container helps to maintain the high level of hygiene that is essential in a hospital environment. The solid lid provides a single-piece lid for concealing the clinical waste, and the click lid includes a smaller inner lid to allow for temporary and permanent closure. Please select your desired lid from the drop-down menu at the top of the page. The Waste Container conforms to British Standards BS 7320:1990 'Specifications for sharps containers'. This means that it meets the specifications required by the standard for the disposal of sharps such as needles, scalpels, and other sharp instruments. Conforming to the standard will help provide assurance that the Clinical Waste Container is a safe and reliable option for storing clinical waste. 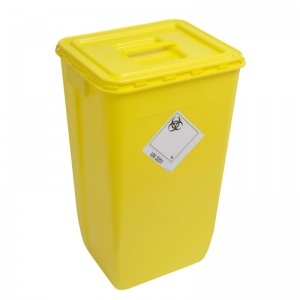 The WIVA Yellow 60-Litre Clinical Waste Container is usually dispatched via First Class Royal Mail and delivery should be within 1 to 3 working days.